ATLANTA, March 31, 2016 /3BL Media/ - Arby’s Restaurant Group, Inc. (ARG), parent company of the franchisor of the Arby’s® brand, announced that as of Dec. 31, 2015, it reached 15.2 percent total energy reduction per company-owned restaurant from a 2011 baseline, exceeding the “15 Percent By 2015” energy savings goal set by the Brand in 2012. Arby’s also achieved an 8.6 percent reduction in water consumption per company-owned restaurant from 2011-2015. The decrease in energy and water use during this time period resulted in $20.4 million of energy-related cost savings. Energy efficiency is a key component of Arby’s ResourceFULL® pillar, which is part of the Brand’s PurposeFULL® Corporate Social Responsibility platform. Average energy consumption is measured by combining Arby‘s electric and natural gas usage into thousands of British Thermal Units (kBtus), a standard measure of energy. The energy consumption savings realized by ARG from 2011-2015 includes a 21 percent reduction in electricity use per company-owned restaurant and a 2.5 percent drop in natural gas consumption. The efforts driving these savings are part of the Arby’s “Efficiency Matters” program, launched by the Brand in 2012 to improve efficiencies in restaurants and reduce energy consumption and associated environmental and community impacts. In 2015, Efficiency Matters received a Top Project of the Year Award from Environmental Leader. Vital to Arby’s energy efficiency efforts are strategic partnerships across the sustainable energy and water landscapes, including Ecova, Powerhouse Dynamics, Regency Lighting and Weathermatic, among others. Arby’s also joined the U.S. Department of Energy’s Better Buildings Challenge in 2015 in an effort to further showcase good stewardship in energy efficiency and extend the company’s savings goal. In joining the challenge, Arby’s committed to making the entire company-owned portfolio of restaurants (3.1 million square feet) 20 percent more efficient by 2020. While Arby’s energy consumption has decreased, Arby’s sales and new development activities have continued to build momentum. Arby’s achieved industry-leading U.S. Same-Store Sales (SSS) growth of 8.0% in 2015 – more than three times the growth rate of a sample of the larger Quick Service Restaurant (QSR) chains*. In 2015, Arby’s produced record system-wide sales of more than $3.5 billion, and posted the highest 1-year (8.0%), 2-year (13.8%), and 3-year (16.6%) SSS comps for the Arby's system in more than 20 years. 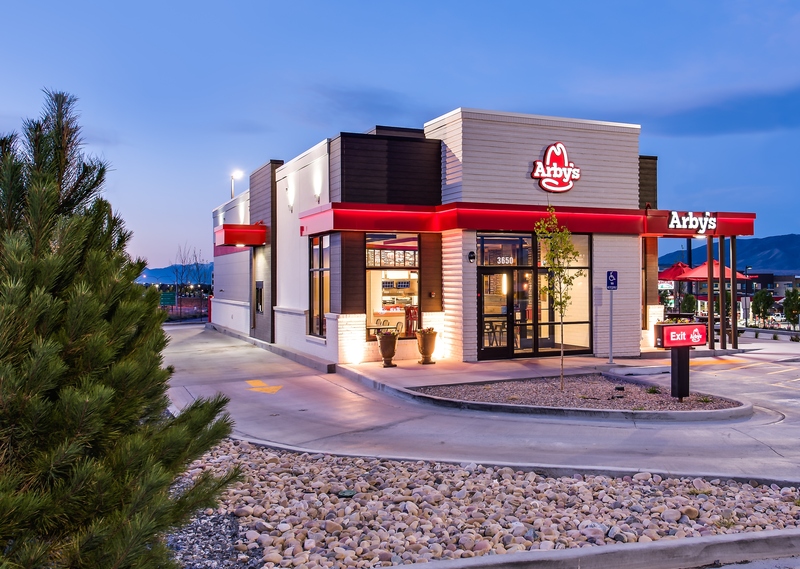 On the development front, Arby’s is able to implement many of the energy-saving equipment upgrades into ongoing restaurant revitalization efforts. During 2015, Arby’s opened 69 new restaurants system-wide including 60 new restaurants in the U.S. — the highest number since 2008. Arby’s also remodeled 179 restaurants across the system as part of restaurant revitalization efforts. *Source: The NPD Group/SalesTrack® Weekly reports same store sales collected weekly from 45 of the larger QSR chains during Q4 2015 ending December 27, 2015. Arby’s, founded in 1964, is the first nationally franchised sandwich restaurant brand, with more than 3,300 restaurants worldwide. The Arby’s brand purpose is “Inspiring Smiles Through Delicious Experiences™.” Arby’s restaurants feature Fast Crafted™ service, a unique blend of quick-serve speed and value combined with the quality and made-for-you care of fast casual. Arby’s Restaurant Group, Inc. is the parent company of the franchisor of the Arby’s brand and is headquartered in Atlanta, Ga. Visit Arbys.com for more information. With the current growth and momentum of the Brand, Arby’s is actively seeking new franchisees. To learn more about available markets and requirements, visit DiscoverArbys.com.